Real data enduring business success. Survey gets you meaningful results right away. Open HRMS Survey module helps in collecting the real, actionable data from employees for better decision making in business. 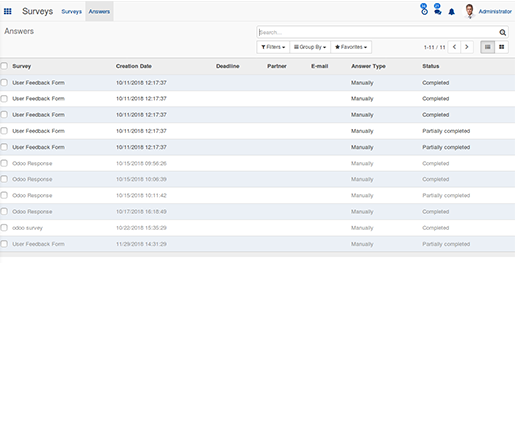 Open HRMS Survey module act as a secure platform to analyze performance status of your company via conducting detailed surveys. The OHRMS survey module creates survey reports on company performances and thereby derive smart decision enduring successful business run. 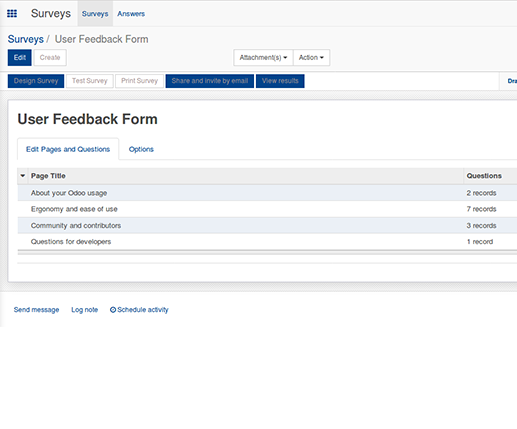 Create surveys based on performance. 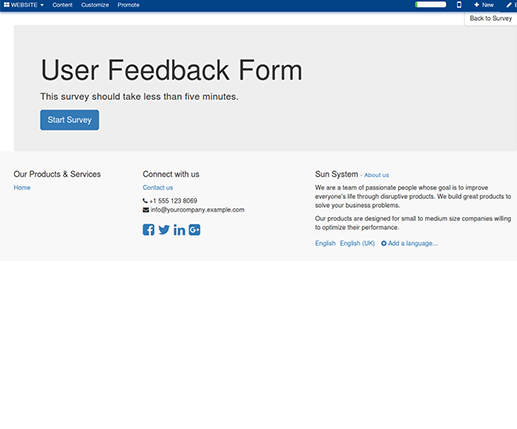 Create new surveys according to end user needs. Customize the survey questions. Feedbacks are stored and can be analysed anytime.